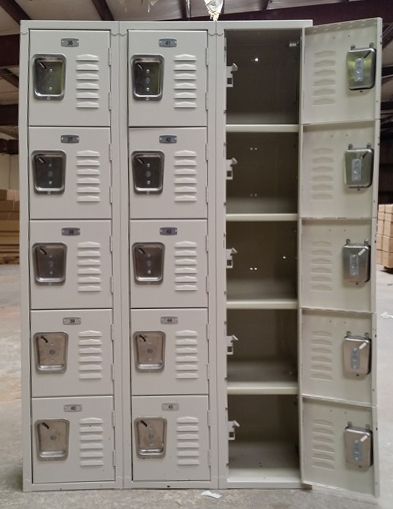 These Tan 5-Tier Office Lockers are available on www.buyusedlockers.com where they have a huge selection to choose from if we need additional supplies. 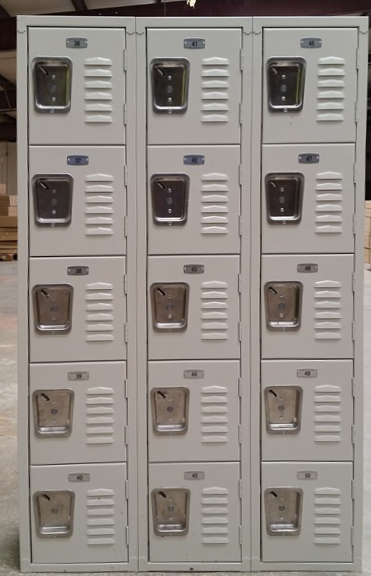 These 5-tier lockers are ideal for offices or break rooms for employees to store their valuable items while the are at work. Each compartment can be locked with a common padlock and includes number plates to easily identify each locker. These do ship fully assembled so they are ready to use once you receive them.